* In December 2007, the head of Birzeit University’s Student Council was charged with belonging to an ‘illegal organization’ and ‘holding a position of responsibility’ within this organization. 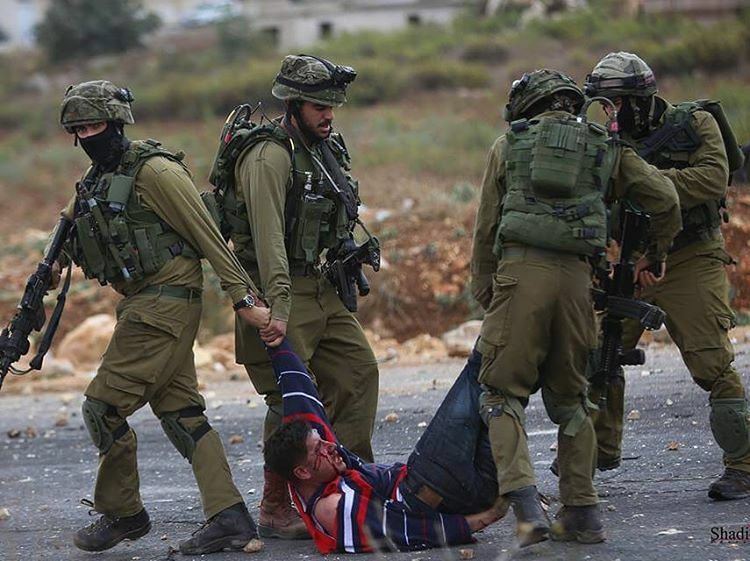 He was held in Ofer prison, incarcerated for 1 yr on what is a legalistic means to punish young Palestinians engaged in political activity (for more information see R2E press release). 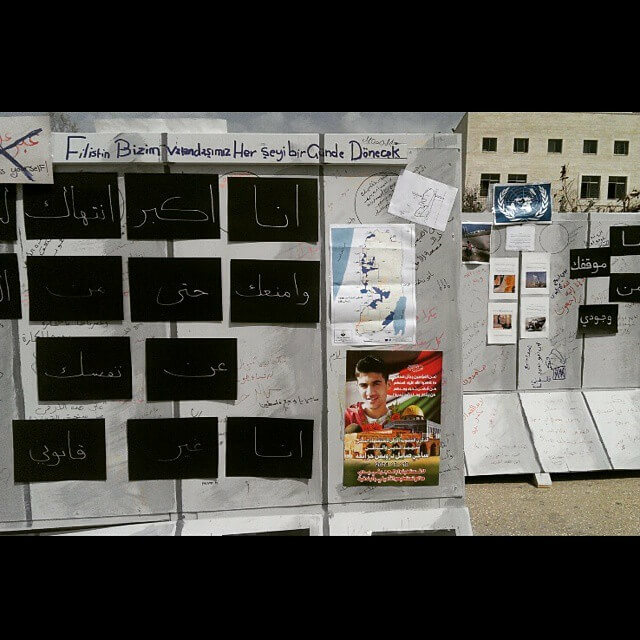 * 21 out of 40 cases represented by Birzeit University’s lawyer are prisoners of conscience who are serving time solely for their belonging to student societies or political parties, many of whom held positions of leadership in the Student Council at the time of their arrest. These students are not only being denied their freedoms of association, thought, and liberty; they are being denied their education. * 6 students are currently held under Administrative Detention, which is a system of incarceration without charge, where secret evidence from Israeli intelligence is shown to the military judge and used to justify incarceration for a period up to 6 months, on a renewable basis. The grounds raised are not communicated to the detainee or his/her lawyer. The mental suffering caused by not knowing the grounds for detention can amount to torture as defined under the UN Convention Against Torture (which was ratified by Israel in 1991). 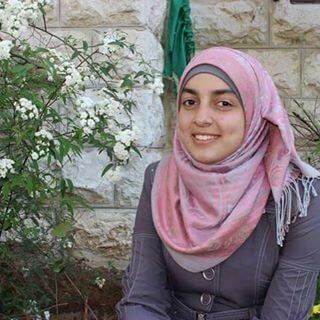 One Birzeit student has been held in Administrative Detention for 3 years. * Many students, regardless of whether they are involved in student activities, are subjected to arbitrary interviewing – the mental stress of which can also constitute ‘inhumane and degrading treatment’ as defined under the UN Convention Against Torture. Students who object to such questioning are then harassed at checkpoints, denied work permits and subjected to house invasions. 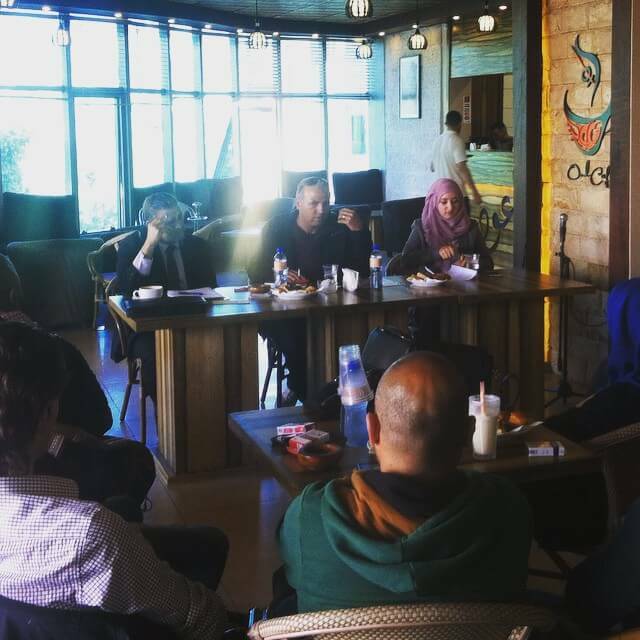 About 30% of the student population living in Birzeit village are subjected to such ‘interviews’. Click here for a personal account of such an incident. * Birzeit University usually receives around USD$1.5m from the PA every year as part of the normal package given to all universities proportional to their size. During the economic blockade of the Hamas government after the Parliamentary elections in 2006, the PA was able to transfer a mere drop of these funds leaving the University short of USD$1.2m. As a result, staff salaries were halved for two months, 3,000 students were unable to pay fees and went on strike, and the annual budget was severely affected. * The cantonisation of West Bank has resulted in Birzeit losing some its national character as students face increasing difficulties in accessing the University. Qalandya checkpoint, for example, delays students by about 1-2 hours daily. * As the state of Israel controls the borders and population register of the occupied Palestinian territories (oPts), it has de facto control over which students and teachers can access Birzeit University. Since the beginning of 2006, many thousands of Palestinians with foreign passports, and foreigners, have been denied entry to visit, work or study in the oPts. Birzeit University’s financial and academic wellbeing was particularly affected. There was about a 50% drop in staff holding foreign passports – from 52 in May 2006, to 27 in September 2006 – and revenues received from overseas students dropped significantly. * In the academic year 2006-2007, 13 students attending the Palestinian and Arabic Studies (PAS) Programme in Birzeit were not permitted entry/ re-entry to start or continue their studies. This effectively puts the Arabic language and culture programme at risk as it is entirely self-sufficient and dependent on foreign students’ access to the University. * In the academic year 2006-2007, there were are at least 14 faculty members at risk of not making it to the end of the year due to visa insecurity. There were also 383 students (who are still waiting for their I.D.s to be issued by Israel) fear deportation or imprisonment every time they cross a checkpoint. * By the start of the academic year 2007-2008, the PAS Programme was no longer self-sufficient, placing a further burden on the university’s budget. During the academic year 2007-2008, 6 students were refused visa renewals to be able to continue their studies, and there were 2 cases of denied entry. * So far in the academic year 2008-2009 there has been 2 cases of denied entry and an English teacher was not permitted a visa renewal, which meant she was forced to return to the U.S and continue teaching via video-link. * In 2000 there were 350 Gaza students at Birzeit University, many were deported, others stayed in the West Bank ‘illegally’ and risk being deported at any moment. 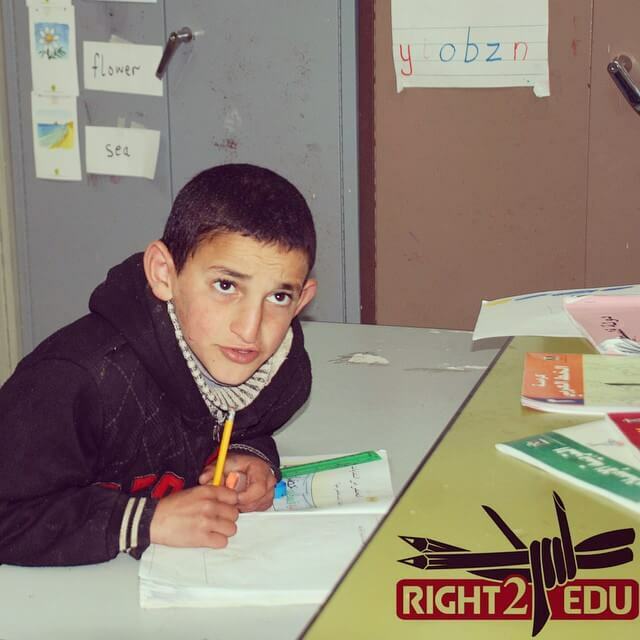 By 2005 there were only 35 Gaza students in Birzeit. Today there are none. * 3 Faculty members were jailed by the Israeli army between December 2007 and March 2008. * An estimated 9000 students (about 57% of the student population) regularly cross one or more checkpoint to reach the University and to return home. Some travel daily, but those further afield travel weekly or monthly. *A study conducted by the Right to Education Campaign at An-Najah of the experiences of 28 students who regularly cross checkpoints revealed that men spend twice as long as women at checkpoints, with their waiting times ranging between 4 minutes and 90 minutes. The length of time spent waiting at checkpoints depended on the time of day. For both men and women, checkpoints are most crowded between 2pm and 4pm. This is because students are trying to get home after lessons, and want to catch public transport before it stops for the day. * Students who live further afield have to pass through more than one checkpoint. For example, students who live in Bethlehem or Hebron, who travel weekly or monthly, have to pass through five checkpoints in each direction. * In another study of An-Najah students, 95 of the 166 interviewed in depth regularly cross checkpoints. Their responses in the study revealed that 91% said they have missed classes because of delays at checkpoints; 84% said they have put off travelling or avoided travelling altogether because of checkpoints. *Additionally, 64% reported they had been physically abused at a checkpoint; and virtually all reported feelings of anger and nervousness at checkpoints. These emotional factors give an indication of the state of mind of students who are forced to pass through checkpoints to access their higher education, which in turn has an impact on their ability to concentrate and study once they reach home. * The study also revealed a trend of students avoiding checkpoints to speed up their journey home. 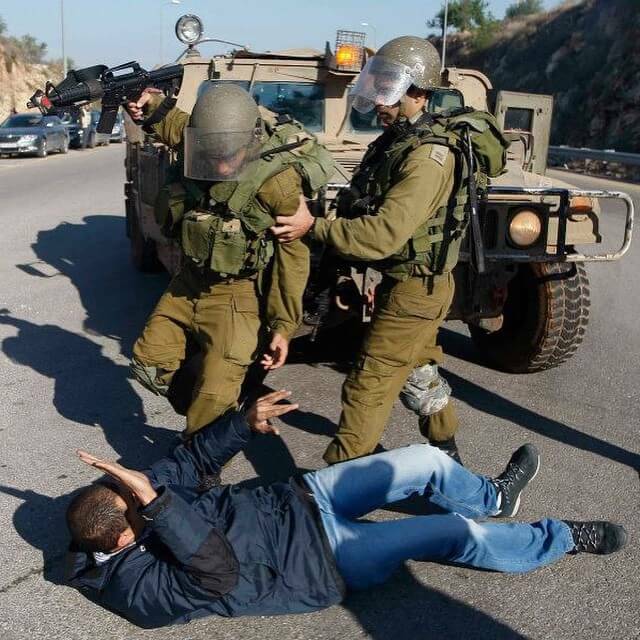 This makes them vulnerable to detection by Israeli army patrols. Students have reported to us several cases of beatings and harassment when they have been detected by Israeli army patrols on their way around a checkpoint. * Between 1982 and 2003, 26 students were killed by Israeli forces or settler violence. * Since 1987 around 550 students and 11 faculty members have been incarcerated for varying lengths of time. 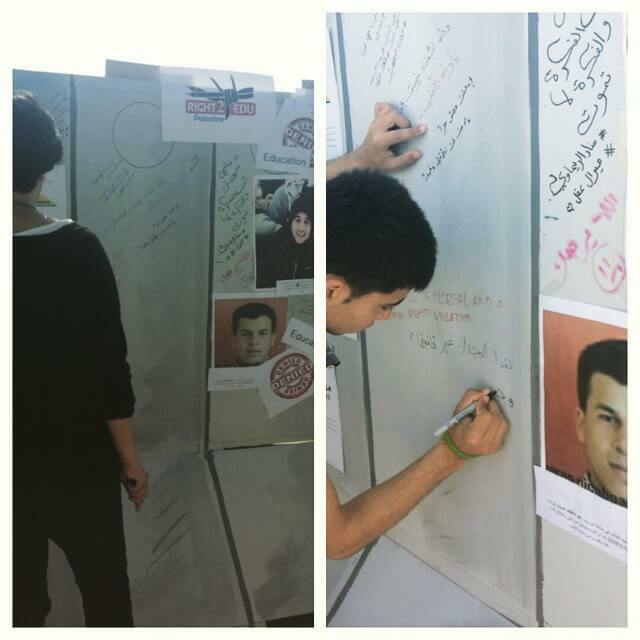 * Currently there are approximately 47 students and 3 faculty members incarcerated in Israeli prisons. * Israeli soldiers invaded Hebron University on 17 occasions between 1980 and 2005. * On July 26th 1983, several settlers entered the campus and shot 3 people dead and wounded 37 others. – Al Quds University and An-Najah are the only medical schools in the occupied territories. – Bethlehem University has 70% female students, which says reflects the difficulties in travel to other universities – families prefer to send sons rather than daughters to live outside the home. * The Wall cuts the path of 36% of students of Al-Quds University and prevents about 15,740 students from reaching their schools. It has also resulted in a shortage of teachers for Palestinian areas of Jerusalem, as many came from the West Bank. * Departments are at constant risk of losing staff, and when it happens, it results in other staff being overburdened or courses being cancelled. 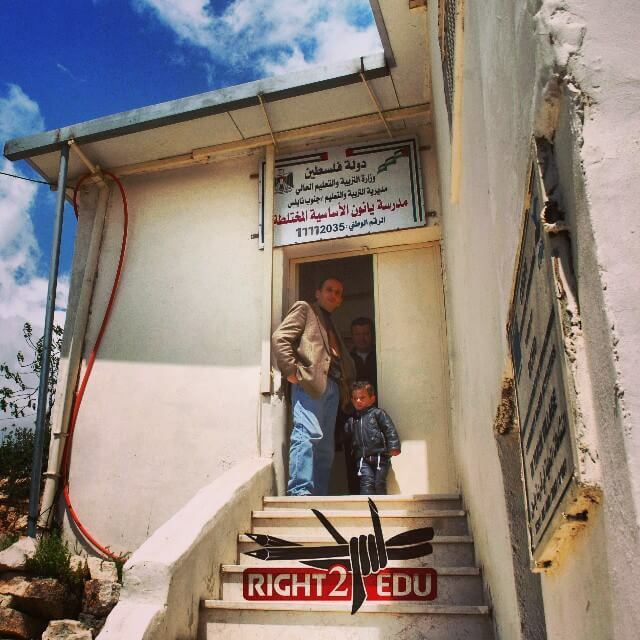 * In July 2007, the English department of the Arab American University of Jenin was nearly closed due to the difficulties in attracting native-speaking teachers. These difficulties are due to the current practices of Israeli immigration which turns employment in West Bank universities into a gamble. (For more detailed information on Gaza, go to our Gaza fact sheet. On the 27th of December, 2008, Israel launched a mass military attack against Gaza, code-named “Operation Cast Lead”. The operation lasted 22 days, and according to Al-Mezan, 1268 Palestinians were killed, at least 280 of which were children. The Ministry of Education was hit twice by direct hits from the air and a number of educational institutions were also been hit. For information on the attacks, go to our Gaza fact sheet. On the 24th of January 2009, both public and UNRWA schools re-opened after one month of suspension. Students who used to study at the destroyed schools were distributed to other schools which were forced to operate 2 or 3 shifts – because of the reduced amount of classroom space schools had to merge 2 or 3 classes together, raising class sizes to 120 in some cases, the Ministry of Education said. * In June 2006, an F-16 fighter plane bombed the Islamic University in Gaza. * Since 2004, Israel has totally prohibited Palestinian residents of Gaza from studying in the West Bank. In 2006, a ruling in the Israeli High Court forbade 10 Palestinians from accessing Bethlehem University to study Occupational Therapy. The argument used by the State was that once they were given permits to leave they would become “information carriers”. Israel has also banned Gaza residents accepted to Israeli academic institutions from entering Israel for their studies. Travel abroad is therefore the last remaining option for students wishing to pursue academic studies in the many fields not offered in the Gaza Strip. * After the closing of Rafah crossing in June 2007, 722 Palestinian university students studying abroad were trapped in Gaza – about 30 study in US universities, and 10 in the UK. Another 2,000 students enrolled in foreign schools were also trapped. They are part of the 7,500 Gazans who need permission to continue their work, education or medical treatment outside of Gaza. The human rights organisation, Gisha, states that in September 2007 there were 1,100 university students wanting to leave Gaza to study abroad, of whom 480 were able to leave. However, Israel has not operated trips transporting students from Gaza to Egypt since January 2008. Three of the students – Zuhair Abu Shaban, Fida Abed and Osama Daoud – were eventually granted permission to attend visa interviews in Jerusalem and on 30 of July the US issued their visas to the US. Two days later, the visas were revoked due to undisclosed “additional information” according to State Department spokesman Gonzalo Gallegos. 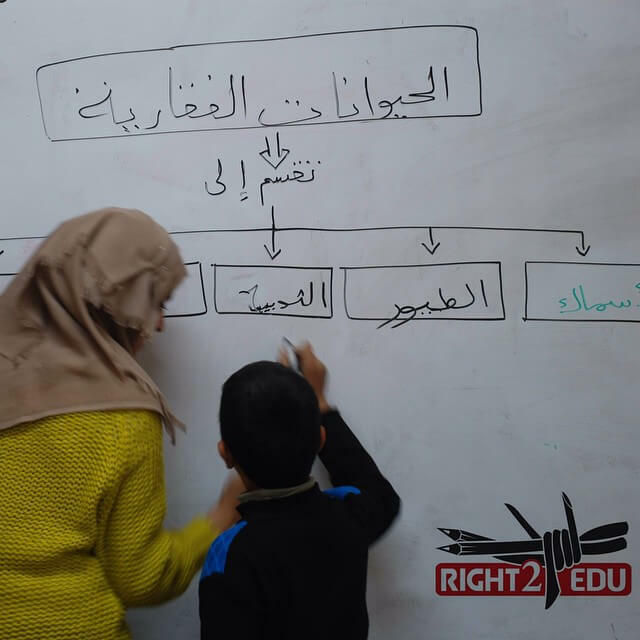 Eventually, only 4 of the 7 Fullbright Scholars managed to leave Gaza and continue their education. * According to PCHR, approximately 200 of the students managed to leave Gaza when Rafah border crossing was open for 2 days at the end of August 2008. As of September 2008 approximately 400 students remain trapped and therefore at risk of losing their university places. * Queen’s University, Belfast, produced a report stating that 98% of children in Gaza suffer from psychological trauma, serious and debilitating psychiatric and psychological effects. * Nearly 78% of the population live below the poverty line, resulting in many poor families alternating which children they send to school so they can share the same uniform. * In September 2007, UNRWA revealed that 30% of their students were without textbooks as the Israeli army prevented them from entering Gaza. 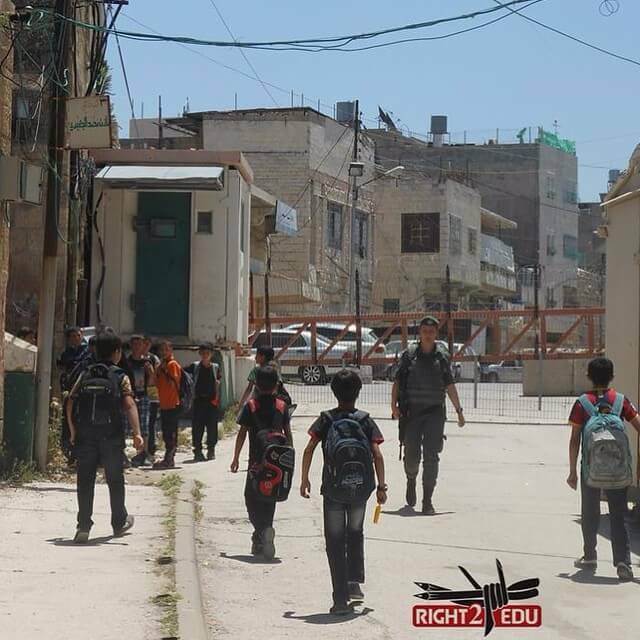 UNRWA accounts for 200,000 students in Gaza, about half the total number of school children in the Strip. * The ban was extended to all raw materials such as paper, ink, and binding materials and exacerbated the shortage, particularly as PA-run public schools textbooks are printed in Gaza after they replaced the Egyptian curriculum with their own in 2006. The Palestinian Education ministry said 27% of government school textbooks had not been printed by September 2007. 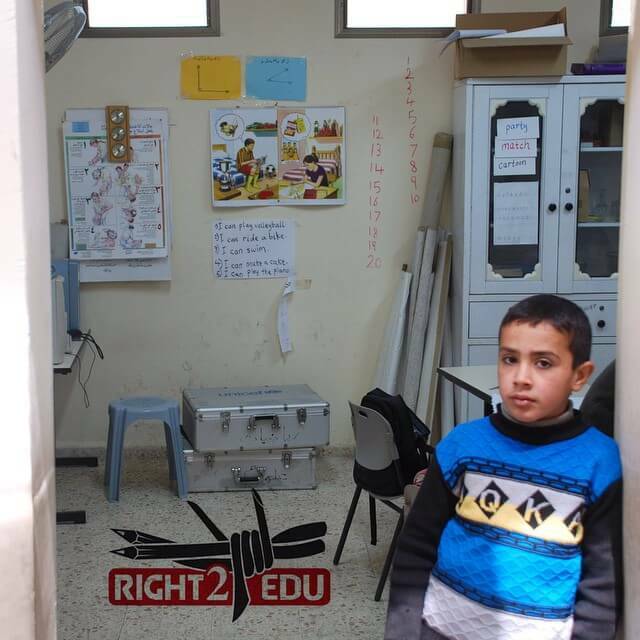 Government schools take care of half the total number of school children in the Gaza Strip. 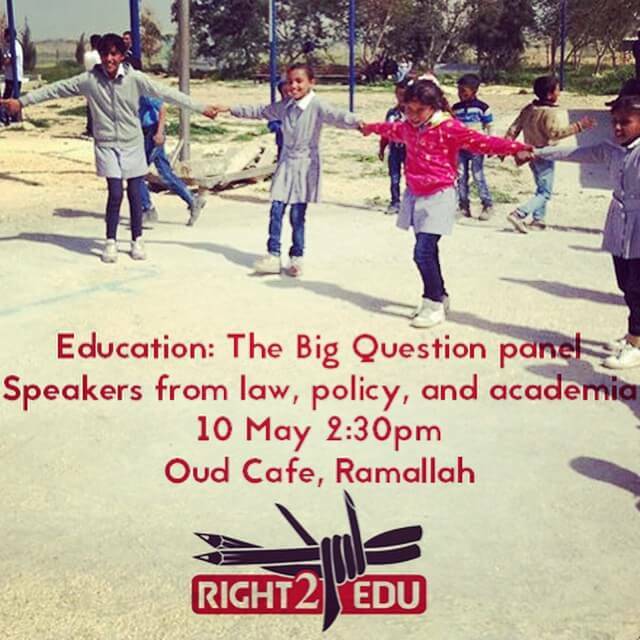 * Since April 9th, 2008, the Israeli blockade on fuel supply to the Gaza strip has paralysed 50% of the educational sector, as half the students at all levels of education are unable to reach their schools and universities. * October 2008: Palestinian Legislative Council member, Jamal Al Khudari, announced that the Israeli siege has cost Gaza universities 50 million dollars in development projects due to their inability to import raw materials for construction, mostly affecting medical and technological facilities. He also stressed the inability to properly run universities and schools without adequate electricity, water or heating during the winter months.